Along with several NCAA Tournaments, PGA Tournaments and World Series. Although our largest events are sports and racing we have also handle a large number of multi vehicle events. 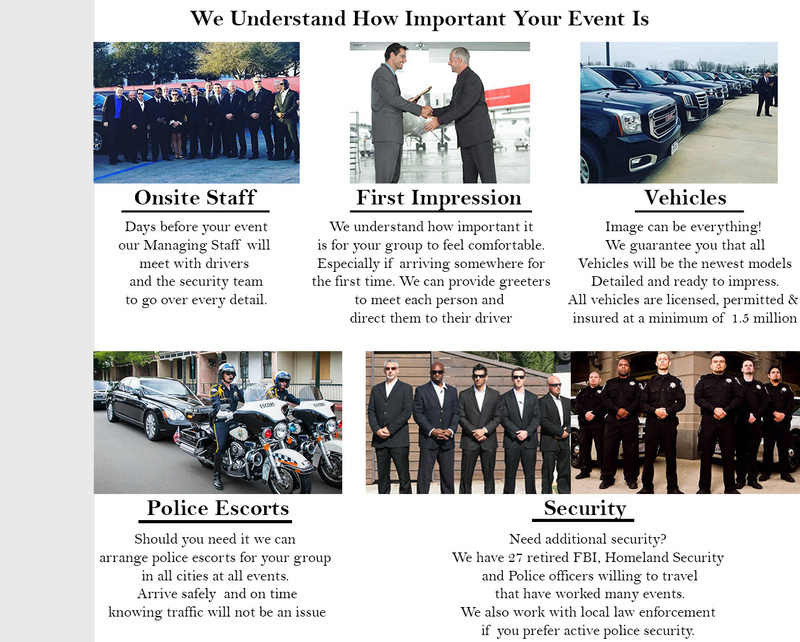 Such as Weddings, Concerts and Company Gatherings that have required onsite logistic managers and security. Depending on the size of your event we can provide you with an events coordinator. They will work with you from beginning to end on every detail and movement. We also provide you with a login to our dispatch for your account. This allows you to see every movement and live GPS of where the drivers are.